Taking great photos of your dog doesn't have to be rocket science - but without paying attention to the basics you'll end up with a less than satisfactory outcome. 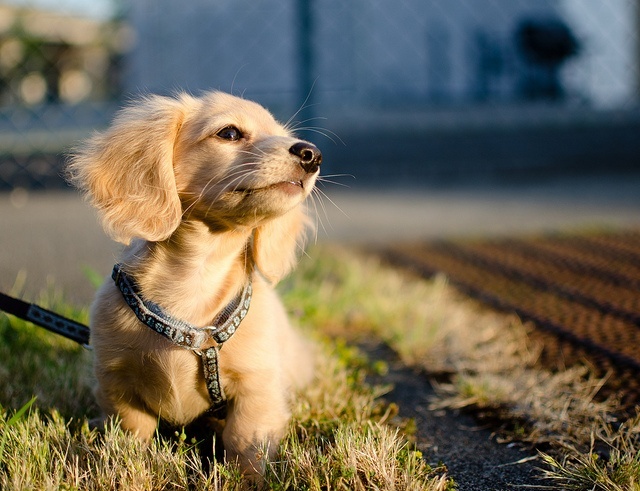 Here are some pet photography tips that the pros use to help you ‘get the perfect shot’. If you don't have a real camera, you can use your phone or ipad of course - but if you want a more professional result, a high-end camera is recommended. If you don't want to fork over $500 or more, ask your friends on Facebook if anyone has a quality camera. You can bribe them with cake. Another option is to rent a camera for a few days. A Nikon 3300 is a great choice which easy to use for beginners. Again, you can ask your friends who live nearby if they would like to split the rental cost. Note: if you do end up using your phone camera, make sure to adjust its settings to high resolution. It would be a shame to take a lot of good photos, especially if you want to use them for prints or anything physical, and later find they can't be used because the resolution was too low. Fortunately this is easy. Go to your camera app and find a setting called Resolution or Photo Size. Different phones have different settings, but if you set it in the higher range of the available options you should be on the safe side. Remember to relax and have fun with the whole process. You don't want an anxious dog who thinks something bad is going on. You'll want a dog who's having fun and enjoying the process. You may want to use treats or anything else that you know will cause your dog to react in a good way. Good light is everything in photography, especially in pet photography, where it’s critical to be able to see the catchlights in the pet’s eyes (the white reflective parts). Avoid photographing in dark rooms or under heavily overcast days. Bright yet diffused light is the easiest to create flattering pet portraits under, so before you even start shooting, take a look around your subject’s environment and determine where the best bright, yet diffused light is; then move to that location. While a few shots looking down at your pet, while you are standing can be cute – to create the really engaging portraits the pros make, shoot down at their level, ‘in their world’. For a Great Dane their world may be the height of your hips; for a Dachshund it may be all the way down at the level of your ankles. For a cat lounging on a cat tree, you may need to pull out a step stool to get on their level. Practice ‘shooting from the hip’ to place the camera in their world without having to crouch or kneel if they are on the ground. Take lots and lots of shots. The more you take, the higher the chance you will capture those extra special moments. Find a nice spot, either outside or in your home. A pretty nature view in the background never hurts. If you choose your home, make sure to keep it simple without a lot of unnecessary stuff in the background. For inspiration on posture, scenery and so on, you can check out Getty images - here is a link to see pictures of dachshunds by world class photographers. Finally, you can use your best shots for a high quality custom portrait and canvas print at unbeatable prices from Max von Barkendorfer, follow this link for details.